The Menageri serving plate by Kay Bojesen convinces through originality and its organic forms. Already designed in the 1940s by Kay Bojesen, the top belongs to a whole series of practical and elegant utensils for the kitchen. 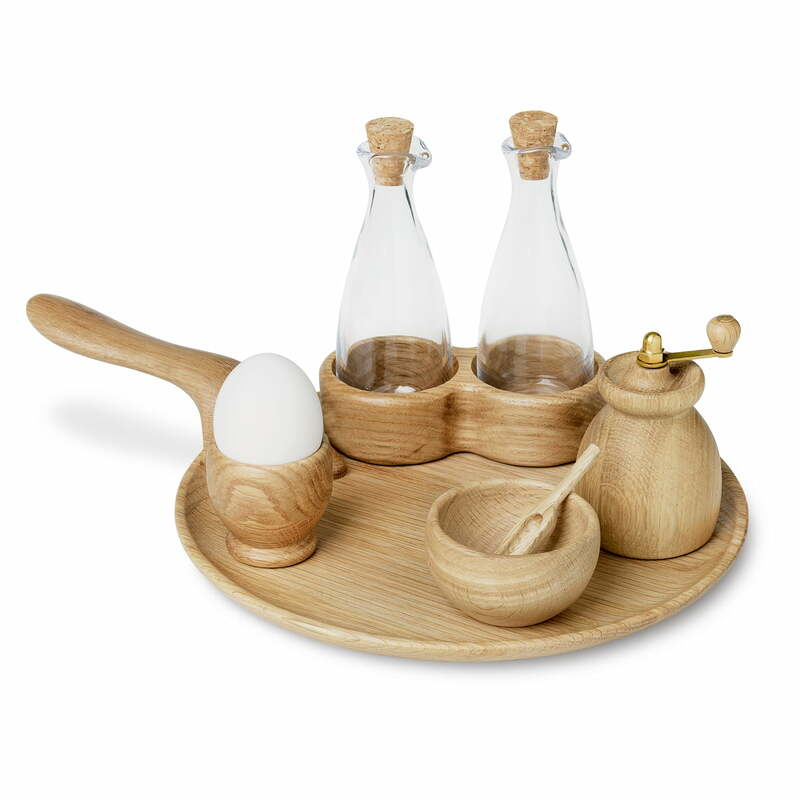 With a diameter of 24.5 cm, all parts of the Menageri series can be placed on the serving plate. With the organically shaped handle, the plate lies well in the hand and can therefore be carried easily. 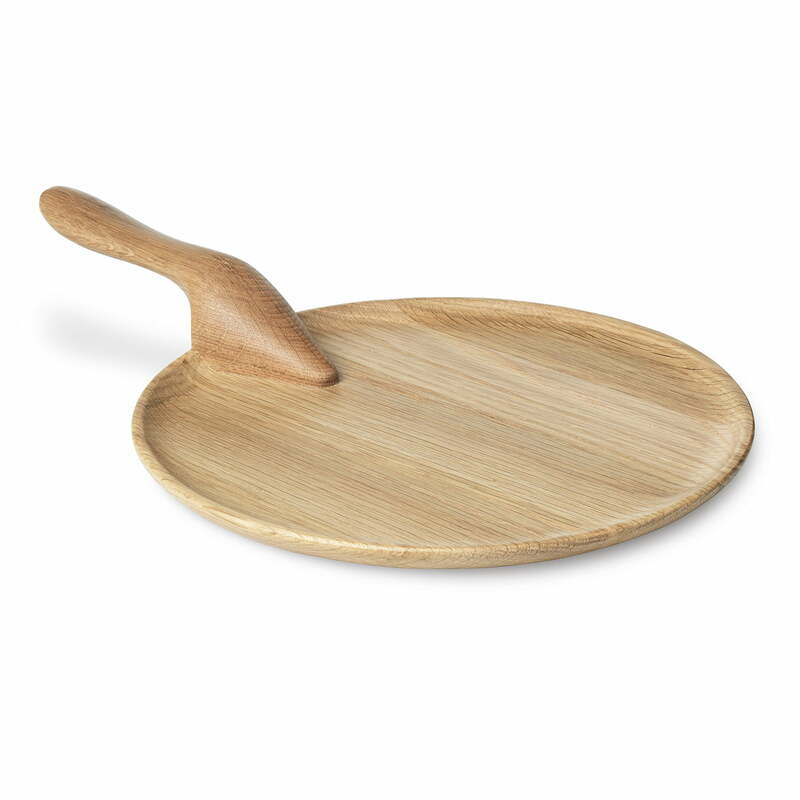 The serving plate is made of certified and food-safe oak wood with a matt lacquer finish. It looks good in the kitchen for salt, pepper and spices and can also be used as a sideboard for fruit, cheese and much more. Please note: The plate is neither cut nor scratch-resistant and should only be washed by hand. The Menageri serving plate Ø 24,5 cm from Kay Bojesen. 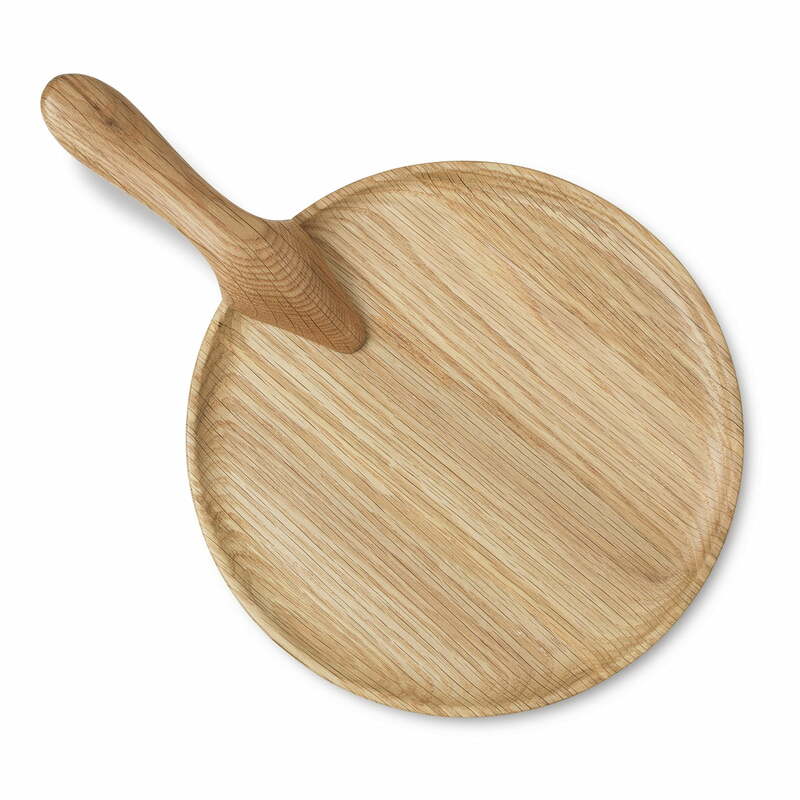 The round serving plate with practical handle is made of certified and food-safe oak wood with a matt lacquer finish. The Menageri serving plate Ø 24,5 cm from Kay Bojesen in oak matt lacquered. With the organically shaped handle, the plate lies well in the hand and can therefore be carried easily. The Menageri series was already designed in the 1940s by Kay Bojesen and is a series of practical and elegant utensils for the kitchen. With a diameter of 24.5 cm, all parts of the Menageri series can be placed on the serving plate.